How many times during the day do you use Google? During a recent holiday I noticed that I was using Google on my telephone for so many things. To find restaurants, shops, and even postcodes to enter into my satellite navigation. It’s no surprise that Net Market Share report that Google’s share of global desktop search traffic is 85%, and 91% of global search traffic from mobiles and tablet devices. But why is search traffic so good for your small business? It’s important because when we search we are often in a different point in the buying cycle than those who see an advert, or other form of marketing. For instance if I search for “accountants in bromley” I’m not searching to find an online answer to a question, I’m looking for a accountant that can help me. Where as someone who sees an advert for an accountant might not pay any attention because they are not in the same buying position. The websites that feature highly in the search results stand a much better chance of catching my attention when I am in the right point in the buying cycle, and therefore gaining my business. So it’s easy, get yourself at the top of the search engine rankings and you’ll avoid the feast and famine cycle for ever, right? Well, Yes – but it’s not easy. Because have you noticed that Google seems to love some websites more than others? Want to know why this is, and what you can do to get your website loved? Keep reading and I’m going to outline the three reasons and show you what to do about it. The first reason is that you love Google too much. You’re trying too hard. It’s really important to remember why Google is in business. It’s customers are each one of us that use it’s search engine to find things. So Google’s primary purpose is to give you and me the best search results at the top of the list, as then we’ll be happy and come back to use it again. You see, it’s all about people. People type in the search terms, people select who to click on and ultimately people will decide if they like what you are saying enough to pay you for your products and services. If you want Google to love your website you need write for people, not for the search engine. Make your website a resource for people who are interested in your topic. For instance, if you are a florist, don’t just have a website that shows the various flowers you can provide. Give advice on when certain flowers are in season, how to choose the right type of arrangement, what occasions suit what type of flowers and so on. Basically ensure that people come to your website for anything to do with flowers, they are much more likely to share your advice with their friends and family if it’s useful, rather than just products, and will know exactly where to come when they need flowers. As much as you can focus on Google too much, you can also focus on it too little. There is a big difference between loving Google too much, ignoring the people who will read the content, and not taking the opportunity to help Google know what your content is about, or spoon feed it to Google. Keywords are a crucial part of spoon feeding your content to the search engine. Keywords is the term used to refer to the words people use when they search Google or other search engines. For instance in the example above, “accountants in bromley” is a keyword phrase. When thinking of your website there are two important points about keywords, selecting the right ones and ensuring that your pages are optimised to tell Google that you are trying to attract traffic for these chosen keywords. If you are targeting business within a local area it’s often wise to start with a phrase built like this – “your product or service” in “your area“. For example, accountants in London or graphic designer in New York. Depending on the size of the geographic area you are targeting it can be wise to start smaller and focus just on the immediate area around where your based, not the whole city. If you are targeting a product or service that is not based on a geographic area you can use keywords that will attract search traffic for a topic, for instance a graphic designer could have a page on their website targeting the keywords “cheap logo design”. You can target as many different keyword phrases as you like, but ensure you only target one per page – more than this and you’ll confuse Google about what traffic you are trying to attract and you won’t get the benefit you want. Page Titles: Using the keyword at the start of the title of your page is a very important step in highlighting it’s theme to Google. For instance a title for the example above might read “Cheap Logo Design from ABC Design Studio“. See how that really highlights the keywords. The title can be up to 72 characters long. But keep the titles attractive to human readers as often social sharing buttons will share these titles rather than your page headline. Page Descriptions: The text that you see under the title on the search engine results page is the page description. It doesn’t impact how the page ranks in Google’s results, but is your chance to get someone interested and picking your link out of the rest on the page. You have up to 165 characters to make your page sound relevant and interesting. As well as focusing on keywords, you need other people to link to your website and talk about you and your business on social media. Each time someone links to your website, perhaps citing a blog post that you’ve written that they found particularly useful, it’s like a “thumbs up”. Google counts these “thumbs up” or links and uses them as a key component in ranking websites in it’s search results. You should ensure you encourage people to link to you and talk about you, make it easy by adding sharing buttons to your content, like the ones I have at the bottom of this page. 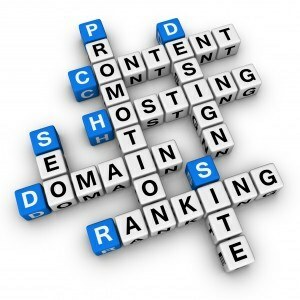 These points are key elements of search engine optimization. Could your website be optimized better, are you making the best use of your chances with Google? My website critique service will help by highlighting where you can improve and giving you an action plan. Sometimes it’s nothing to do with Google at all, it’s about how you treat your own website. I mean if you don’t love your own website why would Google? Ensure that you regularly add fresh, relevant content so both your readers and Google can see that your website is alive and not been left to gather dust. Adding a blog to your website and publishing posts sharing your knowledge is a great way to keep your content fresh. But don’t just cover subjects once. It’s no good writing your best post about a subject three years ago and then never covering it again. Things change and your readers and Google’s search customers are looking for an updated view, ensure you’re the one to give it to them before they look somewhere else. Another factor in loving your own website is investing in it. Did you know that Google takes account of how fast a website loads in it’s rating of the quality of a site? If you’re serious about using your website to grow your business don’t host your website on cheap web hosting where it’s slow and impacted by the traffic of all of the other websites on the same server. Google also takes account of website downtime, if it’s unable to access your site on a number of occasions because it’s down you will find your website fall down the rankings and it will ultimately be deleted from Google’s index completely. Invest a small amount of money to ensure that your website is welcoming and gives both readers and Google a great experience when they visit your site. Also avoid making the common small business website mistakes. Google doesn’t love some websites over others on a whim. It’s a combination of the best content for a topic, how that content is optimized for Google and ensuring your website is a fast, reliable, easy to use destination for your visitors. Have something to add? Please join me for a discussion in the comments. Very thoughtful post on an oft mentioned subject. My impression is that when Google says quality counts, they mean quality does count. This requires writing posts with search engines in mind but also written for the reader. It’s a balancing act and one I think online copywriters continue to work toward. That’s true. It’s always a shame when you see a great piece of content that hasn’t been optimised enough for Google to be able to understand what the author is intending the post to be about. It doesn’t take long and can make all the difference to how Google sees the post. Thanks very much for the feedback and comment Heather! And as has always been the case everyone loves (consistent) quality over (useless) quantity. Thanks Paul, yes that’s spot on! One important tip is not to be overwhelmed and to put advice into practice bit by bit. Schedule it over time, as a lot needs practice before you really know what to do. That’s a great point Rosie. It’s important to understand what you’re doing when optimising your website for Google because it is also possible to change things for the worse and damage the ranking position you have already. So taking time to understand, reviewing the options and taking advice is important. Likewise with any optimising it’s best to change small things one at a time so you can monitor the results, if you change too many things and the impact is negative it’s difficult to know what to change back to reverse the effect. If you’re able to help Debbie O’Connor needs that as well on Motivating Mum and I don’t know enough to tell her how to do it. An important point to note, particularly in light of recent algorithm updates, is not to over optimise your site. When it comes to gaining backlinks to your site you are going to want to make sure you are using a lot of different anchor texts, including some generic ones like “my website”, “click here”, “www.yourdomain.co.uk” etc. Over optimisation of anchor text on backlinks can be a killer following the Penguin update. That’s a great point. You can easily go to either extreme. At one end not optimising titles and content at all which is a shame if you’re writing good content as people won’t find it via search and at the other end over optimising and damaging your credibility with both Google and readers who see your content as being too spammy. It needs a measured approach of writing for people, carefully optimising to spoon feed to Google and building links naturally and from selected sites to increase your website’s domain authority without damaging it. Thanks for your comment Shaun!